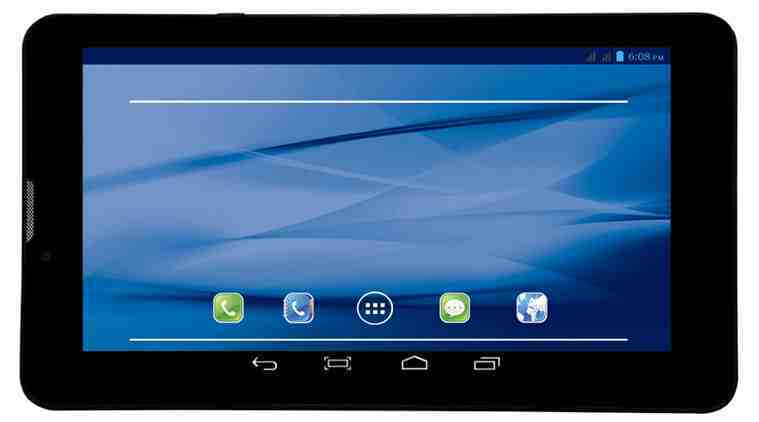 DataWind has launched a new PC 7SC tablet to its low cost device segment. It has been priced only at Rs 2999 and the device offers free internet browsing for one year under a tie-up with Reliance Communications(RCom) and Telenor network on a prepaid GSM sim card. Datawind has signed an exclusive agreement with Den Snapdeal TV-Shop for selling these tablets through its 24X7 TV-commerce channel. In addition to regular voice calling functionality, the tablet incorporates DataWind’s breakthrough web-delivery platform covered by 18 US and international patents allowing the devices to deliver the fastest mobile web experience on regular GSM-EDGE based networks.The Tablet is the lowest cost tablet computer with cellular connectivity with a regular SIM. “We are launching this tablet to address the forgotten billions, who are our largest constituent of digital age today. We are very confident that 7SC will impress everyone with its superior quality and innovation. The growing ambition of people will find the product within their reach, geographically as well as economically” he added. The new 7SC tablet is light in weight and smart to carry. The device packs a battery which delivers over 6 to 8 hours of usage time. The device also comes with the DataWind proprietary web delivery technology that offers high speed internet browsing at lowest data costs possible.